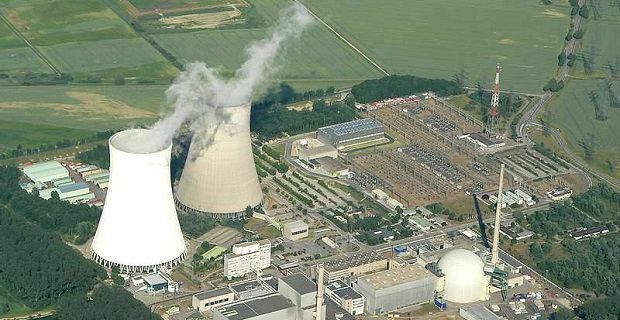 Nuclear energy cheap or expensive? There are lots of arguments for and loads more against nuclear power but is nuclear energy cheap or expensive compared with other types of electricity generation? The answer tends to vary depending on the nation in which the power plant’s based and the price of fossil fuels in that country. In general nuclear power is cost competitive with other forms of electricity generation, although in some parts of the world where fossil fuels are low cost, it’s not as attractive an option. The fuel cost of nuclear plants is a relatively minor portion of the total cost of generating nuclear power. The capital costs are far greater for this type of plant than coal-firing or gas-firing power plants. Waste disposal costs also have to be considered and decommissioning also offers lots of financial challenges. As with a lot of other large infrastructure projects in the UK and the wider world, the cost of developing a nuclear power plant are often under-estimated. All of the costs discussed here have a bearing on the overall price charged to the consumer but none is as big as the capital cost. The cost of site preparation, the construction costs and the commissioning charges have a major bearing on the amount of cash swallowed by a project such as this. The plant's operating cost is a continuous charge that is passed onto the consumer. The cost of fuel, the operating charges and the fees attached to maintenance of the plant are substantial. The operating costs and both fixed and variable as there are cost no matter whether the plant’s producing power or not. Staffing costs are also fixed but change over a period of time. Again, all that stuff’s passed onto the customer. Insurance is a major cost for nuclear power plants but other power plants will also have insurance costs to meet. Dealing with major accidents though can be more costly when nuclear power is involved. Putting the financial costs aside, the environmental costs attached to nuclear power and fossil-fuel power differ greatly. Burning fossil fuels creates water vapour, carbon dioxide and the desired energy. CO2 is strongly believed to be the major contributor to global warning so for this reason alone the environmental impact of nuclear power is lower. During normal operations a nuclear power doesn’t give off any gaseous emissions.